22 Years ago, I found myself flying to West Virginia. As a city boy and child of Cuban immigrants, I was raised as far from the country roads John Denver sang about than just about anybody. My Godfather had ended up living in Huntington, WV and they were going to baptize his youngest son. He asked me to be his godfather and I graciously accepted. As a gift to me, for flying out and being a part of the ceremony, he took me whitewater rafting on the New River. At 19 years of age, I was seeking. There was a stagnancy to the city hustle that made me feel anxious. I could see my whole life mapped out for me and instead of calm and relief, I felt tension. I think as most teenagers who have the desire to leave home, they are looking for an opportunity, a sign, a connection, a catapult, that will launch them into a new place, a new phase, a new adventure. 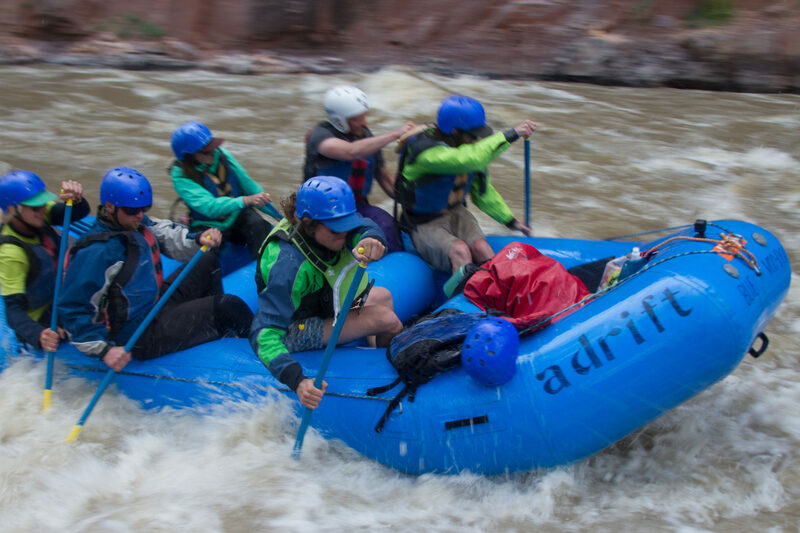 If the New River planted the seed, it was the Gauley that confirmed to me that the river represented an opportunity for travel, income, expression and more importantly…fun. The day after running the middle and lower sections, it was time to test my grit on the Class V. It was still dark when I got out of my tent. There was thick foggy dew reminiscent of scenes of Civil War battles I had seen in the movies. Others that were camping were trickling out of tents and parked cars, fumbling around like the walking dead. I craved coffee to stimulate me out of my early morning stupor but slipping into a freezing cold saturated wetsuit that hadn’t dried from the day before did the trick. The ice cold neoprene on the skin woke me right up. The faded, rental baby blue farmer john wetsuit may be flattering for some, but even in my prime, I don’t think I pulled it off. Summer is almost upon us. The snow is melting and the rivers are beginning to swell. This winter, we have been sharing opportunities and specialized adventures on the rivers we guide on with you. We have everything from the signature Adrift trip, to yoga trips and SUP focused trips. We have a culinary-inspired trip with renowned chef Kelly Liken on July 22. We are also combining music and heart together with a trip on Labor Day weekend with ROMP and the band Lonesome Days. Range Of Motion Project is a Denver based non-profit that provides prosthetic limbs for amputees in Latin America and part of the proceeds from the adventure will be going back to their cause. We also have daily raft trips running in Split Mountain Canyon from May 14-September 14 where we guarantee there will be sightings of the SUPsquatch. Check out this season’s trips here.